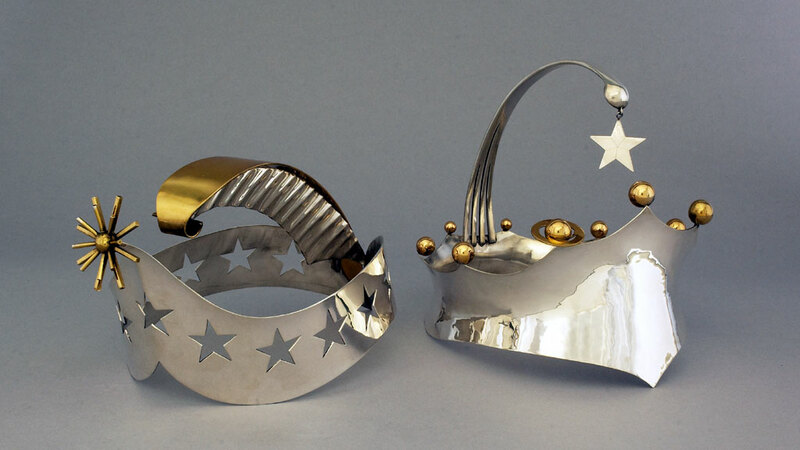 Allan Adler (1916-2002) was a silversmith who worked in the Arts and Crafts style. Born in Missoula, MT, he lived and worked most of his life in Los Angeles. He learned the trade from his father-in-law, Porter Blanchard. The tiaras in the photograph below were created by Allan Adler for the Miss Universe and Miss USA Beauty pageants in the early 1950s. 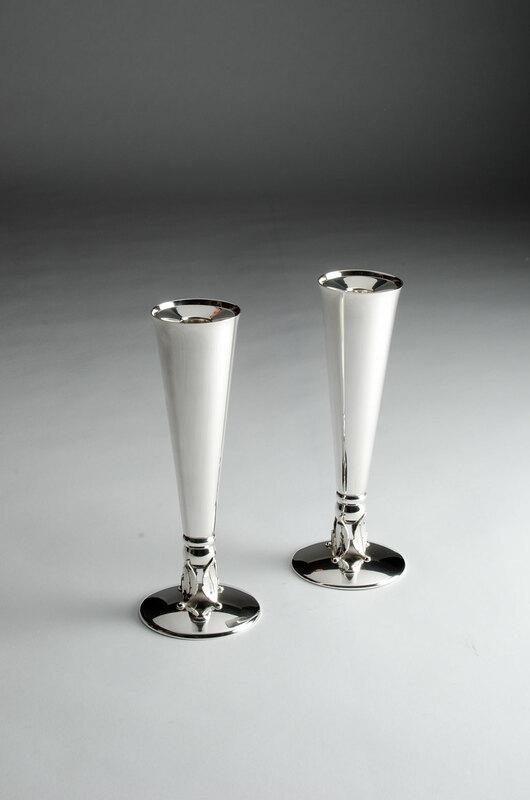 Although he made jewelry, he also produced flatware, tableware, and tabletop objects.